At Le Houx, customized orders are limited to 5 clients per month: this is because we want to make sure that our clients enjoy the experience of made-to-order jewellery from start to finish. We also offer our services at affordable prices to meet the needs of all customers. We are happy to accommodate even first-time customers with a limited budget so that they can enjoy the personal experience of customized orders. You can bring in cutouts or sketches if you already have a specific concept for your design. If you are unsure of exactly what you want, you can share your rough ideas or inspirations at the time of your booking and we will be happy to provide you with sample designs. At Le Houx, we give top priority to what our customers are looking for. 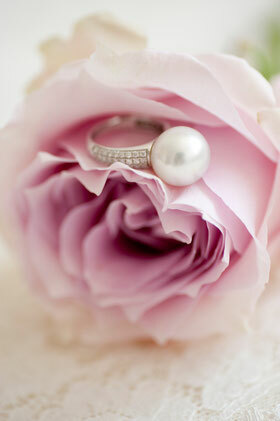 Therefore, instead of asking you to choose from our inventory, we will purchase jewels that match your requests. A quote will be provided after you have finalized your design and selected the jewels. Once your order is confirmed, it will take approximately 1 month to complete. In the meantime, we will provide you with information regarding your order to help you can learn more about your jewellery. All pieces will be meticulously handcrafted by our skillful artisans. They will pay attention to detail in customizing and crafting your made-to-order jewellery. At Le Houx, we provide engravings free of charge for all ring orders. You can choose to engrave a date, your name(s), or even a special message. Space for engraving will vary depending on the design of your ring – please consult us in advance so that we can best accommodate your needs. Your order will be delivered in a box specially designed by Le Houx, together with a copy of your jewellery certificate. In addition to guiding through the certificate, we will also brief you with care instructions for the maintenance of your jewellery.